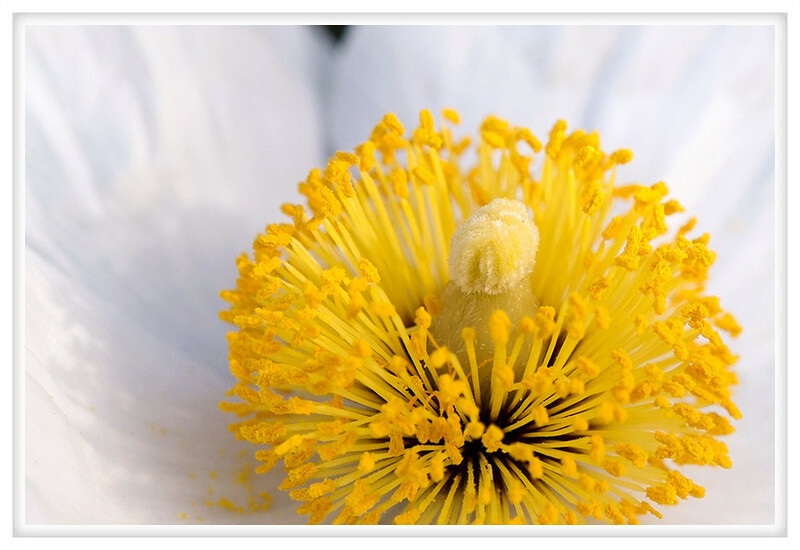 This is a matilija poppy, they are literally the "fried egg" flower. Although they generally prefer a warmer climate our wet weather doesn't seem to have slowed them down at all. They are blooming prolifically right now and you can see them at least a block away as the flowers can be as large as eight inches in diameter.